We didn’t have anyone win a free Winterfest at the Back to School Degrees, that’s kind of a bummer. 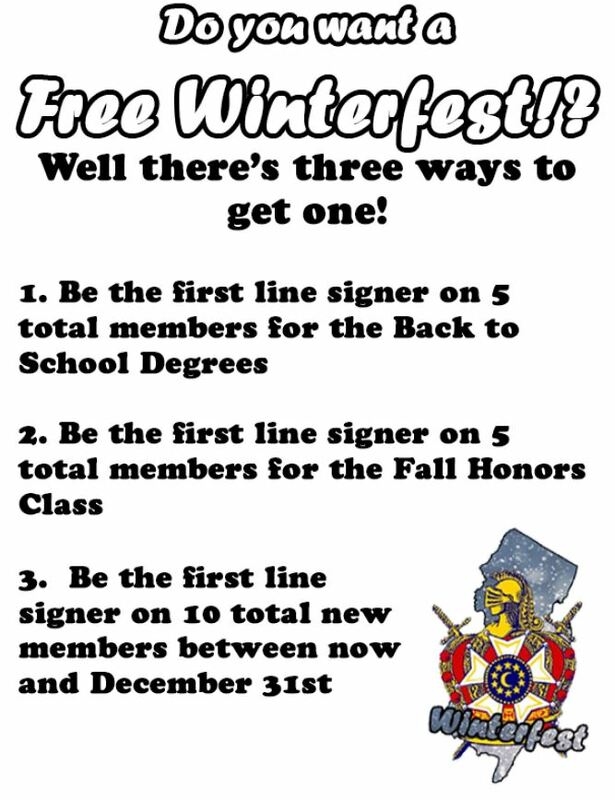 That being said Fall Honor’s Class, and your next chance to win, is right around the corner. Start talking to your friends, your friend’s friends, strangers (minus the danger) and let’s get those new members! 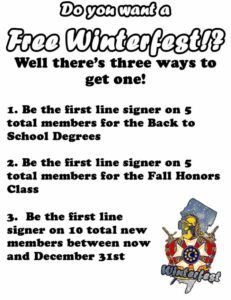 Also, don’t forget, the top first line signer (minimum of 10) between Convention and New Years Eve will also earn a free trip to WF. 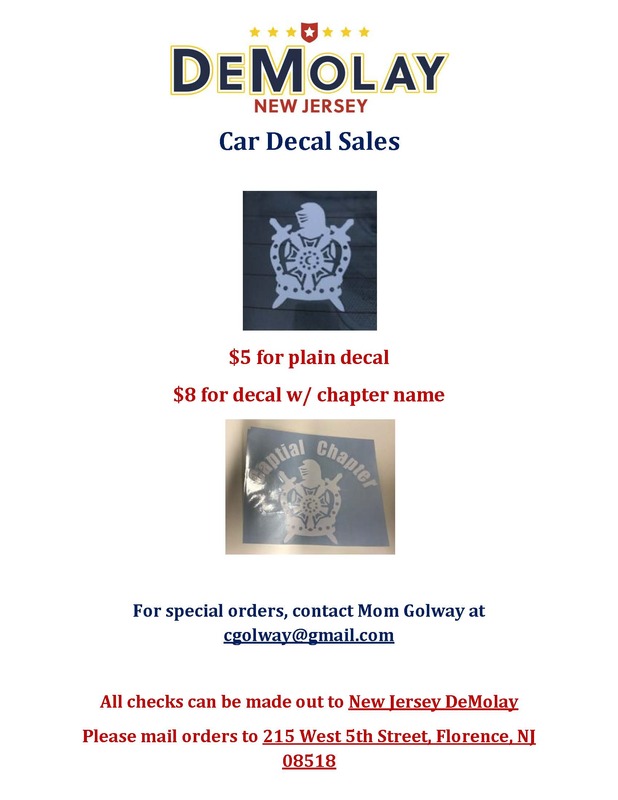 If you have any questions please reach out to one of the State Officers. 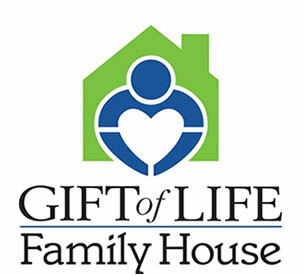 See you at Fall Honor’s Class!